Jason - Putting the new shop together. 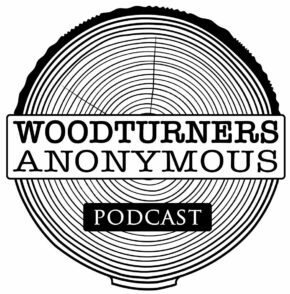 Just want to say I recently came across your podcast and am loving it. Have been listening from the beginning and am working on catching up. Have two questions for you. The first is in regards to sanding segmented wood. I was given a piece of segmented wood (Paduak and Walnut) which it turned into a bottle topper. When sanding the Padauk ran into the Walnut. Is there any way to prevent that? The second is in regards to sanding sealer. When should you use sanding sealer and what is the best way to do it? - Love the way one of you always have direct experience with whatever the topic is and I love hearing the different perspectives on how to do something, since there's always more than one way to do a thing. - After 8 years of turning, I'd say I'm an "advanced intermediate" turner, meaning I don't see myself on the same level as the guys who have tools named after them, but I'm not a newb anymore. 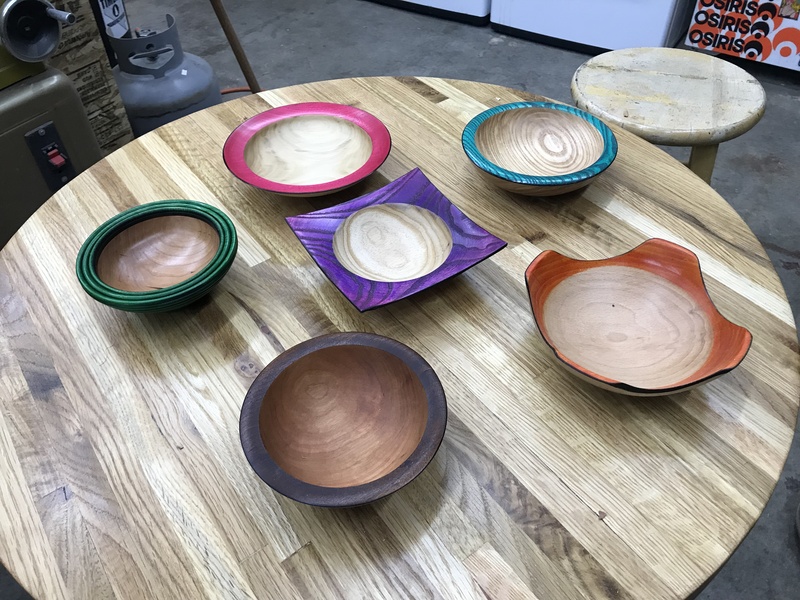 I joined an AAW club a few years back to learn, but I'm finding it's 95% "old-world-70's-style-brown-and-round" turners who seem almost offended if I roll in with something colored, burned, carved, or (*gasp*) NOT made of wood. They don't even like segmented turning, since that takes "too much time". Given all the clubs you've attended or demo'd at, is this common? 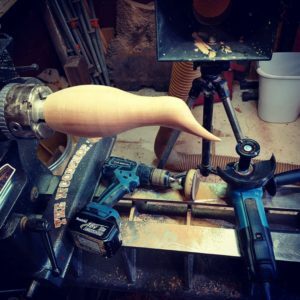 Guess it seems like woodturning has evolved (and is evolving faster as technology changes) but this club really hasn't. - I make stuff just for the fun of it and to see if I can create what I see in my head. Some I've given away, some I've donated to charity auctions, and I've sold a few things to friends and co-workers, usually at a steep discount for what I know they're most likely worth. My kids are pushing me (HARD) to start selling my stuff at craft shows or juried art shows. I have a basic idea of what I'll need (tables, table clothes, tent, display stands, credit card reader, money for change, signage of some kind...), but I really don't know how to get started. Might be a good show topic, like what kinds of venues to start with, what to avoid, what to remember to bring, how to deal with the people, etc... There has to be horror stories of the early days of going to shows and selling nothing, but learning a ton. Another show topic, especially for the new turners, would be all the damned acronyms! Took me awhile to figure out what BLO and WOP stood for. I'm sure there are others.